Job store allows you to purchase IntelliApps from Pulse Match, Tenstreet Market, as well as over a dozen popular job board sites. This article was designed as a companion piece to our Tenstreet Job Store – Your Advertising Portal blog, which describes more in depth how Job Store works. As you know by now, Tenstreet has teamed up with some of the nation’s most popular job boards so you can post your jobs across multiple sites, all from one convenient access point. Each one gets you access to a unique market set and has individual strengths that set them apart from their competition. This document will be updated frequently as we add more and more Job Store merchants. Be sure to check in with your advisor, visit this blog, or keep your eye on the Job Store tool as we continue to grow! Meet the Merchants, and leave your driver search to us! Facebook Lead Generation campaigns reach qualified trucking candidates BEFORE they begin their search for a new job. This means little-to-no other carriers are competing for the candidate, giving you a better chance of closing the hire. Choose from 3 different packages depending on the lead volume you need. Facebook campaigns require no permissions or integrations on your part and can be effectively conducted regardless of your existing social media presence. Craigslist posting is easier than ever! Simply pick the jobs you want to be posted to Craigslist and we’ll keep re-posting them throughout the week, making sure your jobs stay fresh and at the top of search results! TruckingJobs Network generates cost-effective leads by utilizing multiple sources across the web to find qualified truck drivers. Their proprietary software optimizes your company’s cost per lead by constantly monitoring the effectiveness of our websites, industry job boards, and social media lead sources. CDLLife has established itself as a trusted news source among the trucking community with an engaged audience the continues to grow. The content that CDLLife publishes is distributed to their followers an impressive 2.5+ million times a month. When it comes to advertising, the goal is for CDLLife to leverage their large online community and convert them into direct leads for their clients. CDLLife has a mixture of advertising solutions at their disposal that allows them to provide carriers with a highly-effective resource for recruiting quality drivers. CDLLife’s innovative job board allows them to generate direct, non-shared leads. After getting a client’s jobs posted, they take a hands-on approach and layer on custom ad campaigns to re-target their large online audience with paid ads to further promote our client’s job postings. The cost of our program is fully customizable and completely unique to your company. Find out why carriers are making the change to CDLLife! Indeed helps millions of job seekers and employers find the right fit every day. With 200 million people visiting every month, they provide access to the talent in every field, giving you access to the largest pool of job seekers online. Independent research shows that Indeed delivers 3x more hires than their top three competitors combined. Find your next great hire with Indeed. Gla ssdoor offers transparency in the marketplace – helping employers advertise their open jobs to highly engaged candidates while promoting their employer brands. With approximately 40 million unique monthly visitors, 11 million pieces of content (company reviews, benefits details, salary reports, interview reviews), and background on 700,000 companies in 190 countries, Glassdoor helps people everywhere find a job and company they love. American Driver Network offers one of the most comprehensive Internet resources available for recruiting truck drivers in today’s digital, interactive, and information driven markets. Offering the same type of benefits as other recruiting website services, but with a much greater reach and an expanded placement across over 500 websites. JobsInTrucks.com is the largest niche job board for hiring top quality drivers. With more than 500,000 driver profiles, we have the most extensive driver profile database on the internet; connecting thousands of hiring managers across NorthAmerica with qualified driver professionals. 95% of our candidates are not found on the generalist job boards receives more than 250,000 visitors a month, making it the highest trafficked driver job board. We offer job postings, searchable driver database, branding, banners, remarketing and social options to maximize your recruitment campaign. At Trucking Unlimited, drivers know that they are using one of the most respected and well-regarded job resources in the industry. Trucking Unlimited understands the value of tradition for commercial truckers and has created an outlet that honors the culture of rewarding top drivers with some of the best positions in the nation. Trucking Unlimited believes in trucking as a time-honored American tradition and works closely with companies that feel the same way. TruckDrivingJobs.com is the leading job board for drivers across the country who are ready to find companies that offer the most to the drivers they bring on to their fleets. TruckDrivingJobs.com provides drivers with more than just job openings, it gives individuals a full scope of job resources. Job seekers know TruckDrivingJobs.com as the destination for the most comprehensive array of opportunities that always benefit the driver. Post Your Positions, and Leave Your Driver Search to Us! Since 2014, Find a Trucker Job (FATJ.com) has delivered quality over quantity. Direct Leads. No bulk apps. No recycled database matches. Every application is from a driver only applying to your job! Using their proprietary applicant-sourcing algorithms, they can increase the quality of candidate applications & decrease the overall cost-per-hire. Trucker’s Report is the fastest way to find truck driving jobs. It only takes 30 seconds to fill out an application form and receive offers from the best trucking companies. Whether you’re looking for a company that offers better pay, newer equipment, or more home time, you can upgrade your career in minutes. LinkUp is a leading job search engine, indexing millions of jobs daily, direct from employer websites. The jobs on LinkUp are always current and contain no fake or duplicate listings. LinkUp delivers qualified candidates at a low cost through pay-per-click campaigns, extensive partner network, and valuable analytics that help employers optimize their recruitment strategy. Jobcase is the fastest growing job site in the US for drivers, with over 1 million truck drivers accessing Jobcase every month. It’s free to list your jobs on Jobcase directly within the Job Store. You can increase the number of applicants you get from Jobcase with our pay-per-applicant product. Expand your reach to both active and passive drivers and only pay for the applicants you receive. 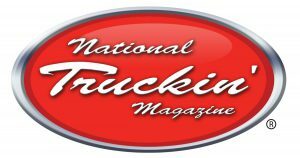 National Truckin’ Magazine provides drivers a safe place to apply to companies they want to work for without the worry of the applications going to companies they didn’t apply to. justCDLjobs.com is a board that promises no distractions and no complications: just cold, hard recruiting. When you need to fill your fleet, justCDLjobs.com will get the job done. Try it today! These are the descriptions, requirements, and locations of the positions for which you’re hiring. Enter them in one place, and see them across your platform (on Driver Pulse, Job Store, IntelliApp, Xpress, and more). Job Store offers a one-stop shop for your Full and Partial IntelliApps (through Pulse Match and Tenstreet Market), and lead apps (through popular job boards). Set a budget, take advantage of our analytical reports, find out what’s effective, and basically simply your entire buying process. Whether you use our Xpress services line, or simply have applications emailed to you, you can fully rely on Job Store to deliver more of the applications you need to fill your jobs. Reach out to your advisor today!